I recently contacted a friend of mine about volunteering for a charity that she does a lot of work with. I've been wanting to do more service lately and this seemed like a good opportunity. "Whether children are orphaned as a result of disease, poverty, violence, or natural disaster, the results are the same - children alone. 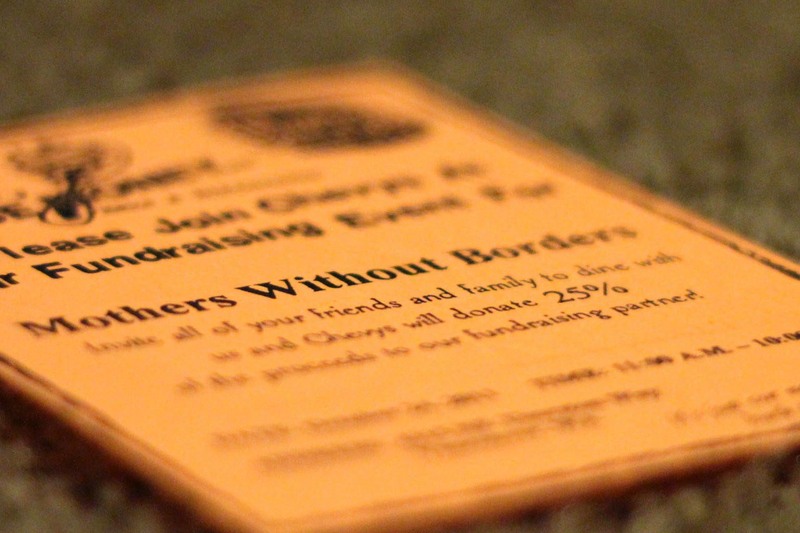 Mothers Without Borders is committed to supporting programs that offer sustainable, long-term solutions to this global orphan crisis." They are currently working on children's feeding programs in Zambia and Zimbabwe, a children's resource center, and more. Seems like a good cause, right? What you've got to do is put down your pots and pans and go out to dinner at Chevy's. Yep! That's it! 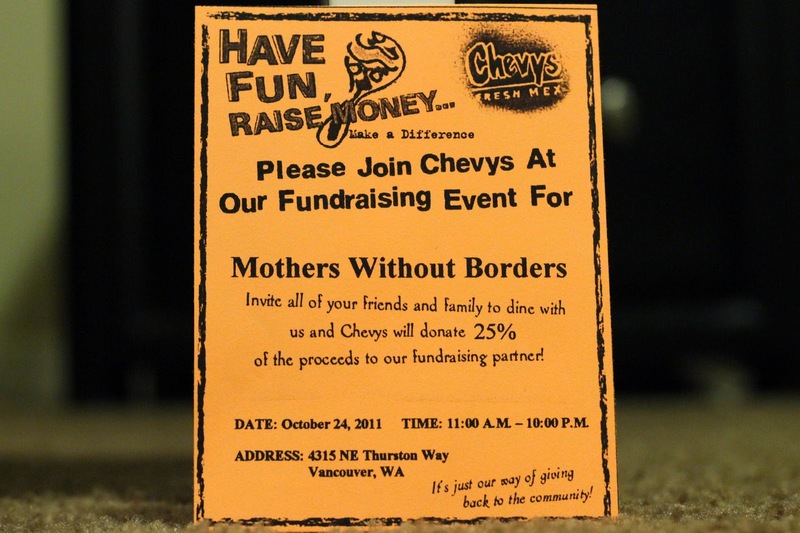 If you eat at Chevy's from 11:00 am to 10:00 pm, 25% of their proceeds will be donated to MWB. Here's the part that actually is kinda tricky. You've got to bring one of these flyers with you when you go in otherwise, like calories on Christmas, it won't count. Good for you! That is a good cause. I love this organization! Good for you Mari! 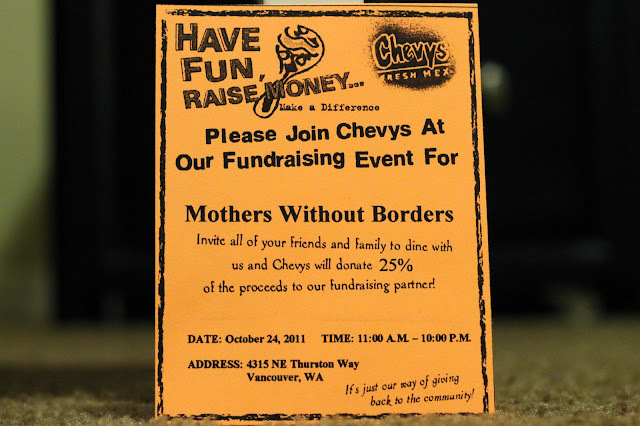 I love mothers without borders! I traveled with them to Zambia 5 years ago just before I got married! It is a wonderful organization, I wish I was doing more to help. Good for you!